Long time no hear from Tokyo-based crap gadget maker Thanko. About for weeks ago, the USB specialist released a mouse with a built-in speaker, only to follow up today with the Nikukyu Mouse [JP], a mouse that looks like a cat paw for some reason. 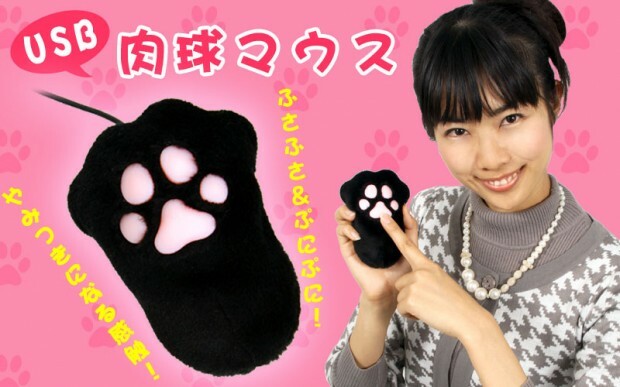 The 800dpi mouse is nothing special, but perhaps someone would like to combine it with Thanko’s USB-powered “Hot Cat Gloves”, their USB cat paw gloves (these are different ones) or the Thanko Catgirl earphones. I don’t know what it is with this company and cats. If you really are interested in this kind of stuff, head over to Geek Stuff 4U where the Nikukyu Mouse is already available for potential buyers not living in Japan (price: $27).